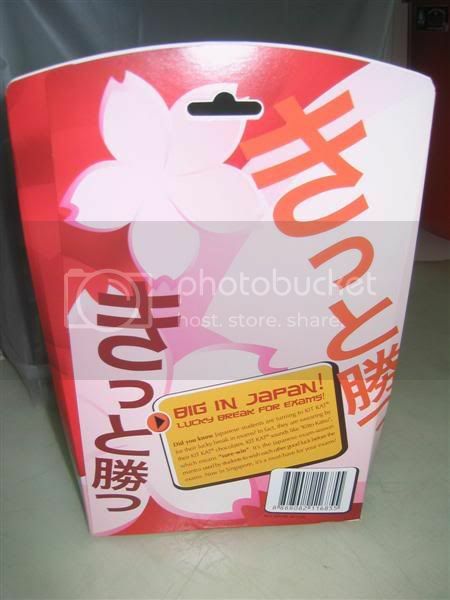 Kit Kat Sakura (Cherry Blossom) – 望み – What is that you desire? 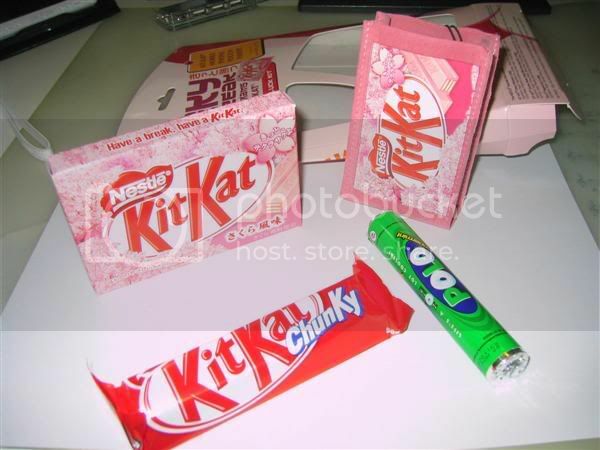 So I got one of these Kit Kat Sakura pack. 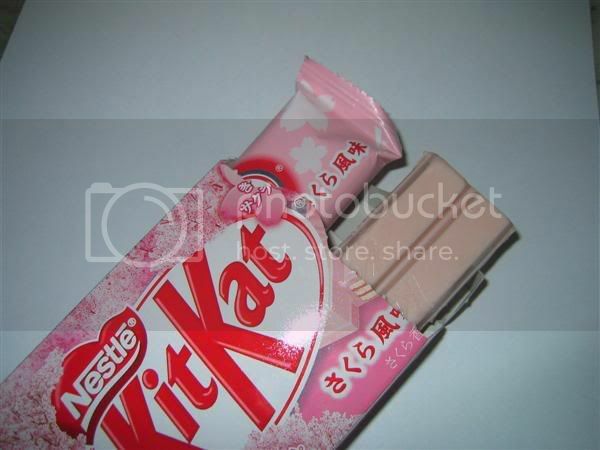 Kit Kat Sakura tastes like (chemically processed) strawberry wafers. It’s like those from Pocky’s strawberry flavoured sticks. 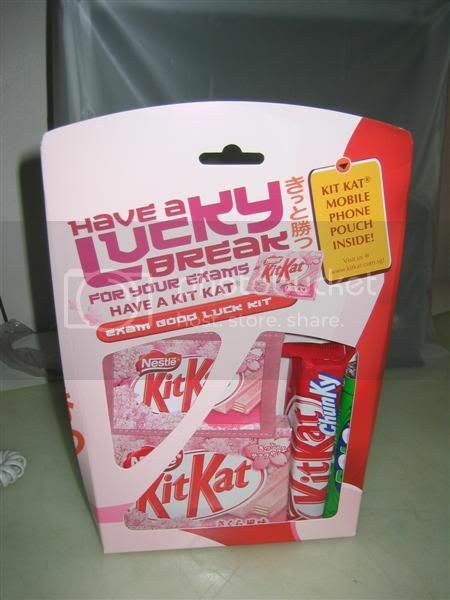 … KIT KAT sounds like “Kitto Katsu” , which means “sure-win”…. They are kinda right about that. Kitto (きっと) is the the female high school student in their advertisement. Katsu (勝つ) is the male high school student in their advertisement. Let’s all shout KITTO KATSU! Mein gott that looks cool. j00 just fell victim to lame teenage advertising! lol, where’d you get that? I got it from the supermarket over here in Singapore. 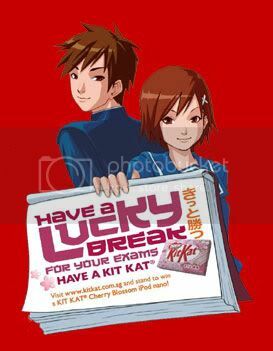 They are cheaper compared to some of the auctions in ebay for the Kit Kat Sakura　（Exam　Version). Next Next post: Faults: Customers or Tech Support’s?